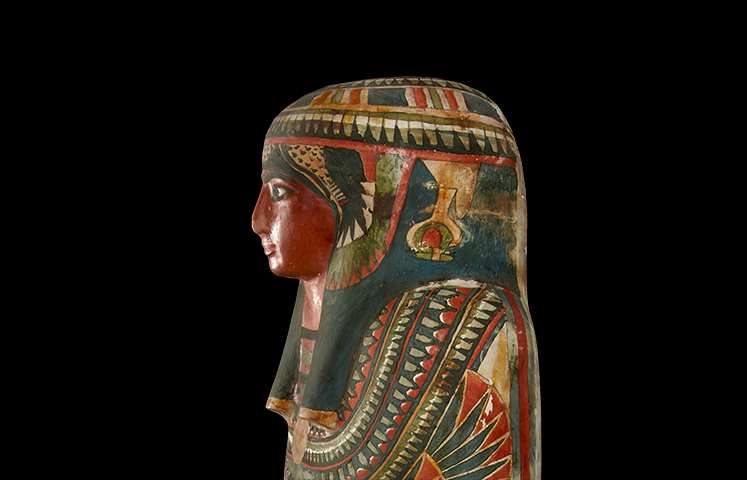 An inscription on the front of this coffin tells us her name is Meresamun and her title is Singer in the Interior of the Temple of Amun. She was an elite musician priestess, her job was to sing and make music for the god Amun. Music was a vital tool in egyptian religion to pacify the gods, Meresamun along with the other Priestesses would accompany the first priest as he performed rituals three times a day. The coffin also tells us that Meresamun came from a wealthy family as it is beautifully decorated with many colours and symbols. She wears a vulture headress commonly worn by Priestesses as well as by women of high rank. Below the collar you can see the the Four sons of Horus who are the protectors of the organs removed during the mummification process. 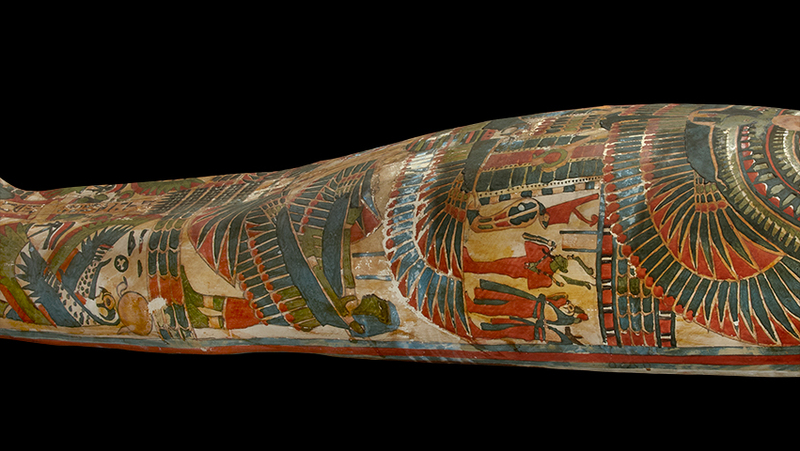 A falcon is painted in the centre of the coffin representing the god Re who symbolises eternal rebirth. 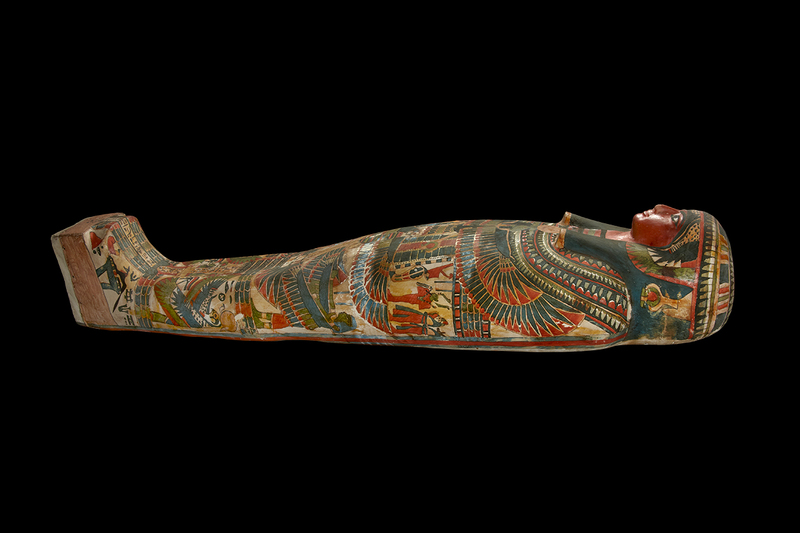 On the side of the coffin are wedjat eyes which represent health and regeneration, behind these are snakes with sun discs on their heads symbolising protection.